Extending your lease can be a long and complicated process. We run through what's involved, costs and how to get the right expert help so you can take charge of every step of your lease extension and avoid the common pitfalls. Before I start, how much will it cost me? It depends on the value of the property, the number of years left on the lease, the annual ground rent, the value of improvements done to the property paid by the leaseholder and external factors such as expected rate of returns on investments. It is a complex calculation, but also a subjective one which means it is open to negotiation – or decision by a tribunal. While you can get an idea of the cost of buying up more years (referred to as the premium you have to pay to the freeholder for the extended years) with our lease extension calculator approaching a valuation surveyor with experience of lease extensions will be worth the investment and stop you paying over the odds for your extension. Yes! It can be tempting to enter into informal negotiations with the freeholders to extend your lease. By coming to an informal arrangement, you usually only have to pay your legal and valuation costs, while taking the formal route will mean you have to pay both yours and the freeholder’s costs. But if ever the phrase “false economy” applies, it is here! You may be saving on legal costs but you could be paying thousands more for the lease extension than you should be and, in the worst case scenario, make your home unsaleable. The main issue is that with an informal extension the freeholder can make changes to the small print of the agreement to their advantage, for example adding ground rent rises. When you choose the formal statutory route, your ground rent is reduced to nothing. Another trick is to only grant you an extension back up to 99 or 125 years, whereas with the statutory route you will get your existing term plus 90 years. Doing things formally also affords you better protection should things go wrong. As long as you’ve gone down the formal “statutory” leasehold route, if there are any disagreements in terms of costs or other disputes you can take your case to a property tribunal. There are also time limits with the formal route to lease extension so your freeholder can’t drag their feet. Step 1 – Inform the freeholder of your desire to extend the lease and that you will be pursuing the statutory route. Step 2 – Appoint a lease extension solicitor with expertise in the field and who is a member of the Association of Lease Extension Practitioners (ALEP). Get quotes and compare costs. Our partner lease extension solicitors can provide advice you can rely on. Get in touch today. Step 3 – Find a valuation surveyor with expertise in leasehold extension legislation and the local property market. Some solicitors, including our partnered firm Bonallack and Bishop, can put you in touch with surveyors they trust. Step 4 – Make a formal offer. You will have to serve tenants’ notice – your solicitor will able to take care of this. Step 5 – Pay the deposit if one is required by the landlord. This will either be £250, or 10% of the lease cost in the tenants’ notice, if that exceeds £250. If the landlord does require a deposit, this will have to be paid within 14 days, so it’s important to have this money readily available. Step 6 – Negotiate a price. Your solicitor will advise or can handle this. If the freeholder doesn’t accept the amount you’ve offered you will have to negotiate. Then if you still can’t come to an agreement, you will have to apply to the First Tier Tribunal (Property Chamber). While cases going to the tribunal are relatively uncommon, they can be time-consuming and expensive, so it’s best to avoid this if you can. How long will all of that take? The process normally takes from three to 12 months, and it can be made quicker by efficient valuers, solicitors and other professional help, so choose these people wisely. Is it worth trying to buy the freehold instead? For this and any other leasehold concerns, become a member of the HomeOwners Alliance to discuss your options with our friendly Home Helpline team. Josephine, It’s not an exact science, but we do have a leasehold calculator to help you with your estimate. If you are thinking of extending your lease you will also need to engage a leasehold solicitor. For a free consultation and quote you can enter your details here and our partners at Bonallack and Bishop will give you a call. We completely agree that the freehold/leasehold system is unfair – with the main beneficiaries to be the freeholders and their managing agents. You might want to read more about our campaign for change – https://hoa.org.uk/2017/09/better-protection-for-leaseholders/. We have publicly called on government to commit to ending the leasehold system within 50 years. Action is being taken by government to stamp out some of the abuses – such as the leasehold house or doubling of ground rents scandal, but we believe more needs to be done. I would like to know why the law is heavily weighted in favour of the freeholder. It seems they can get away with charging what they like and if you challenge them and go to tribunal and lose you have to pay their costs as well. some of my neighbours have paid an amount which seems to be way over the odds. Is there a formula? more importantly is there going to be a change in the law to make this system fairer? If possible, I would like to receive an estimate on how much a lease extension may cost on my flat. It’s sgared ownership and I have 75% and so I’m aware I have no statutory right to extend. However, I’ve had an indication the ‘landlord’ may give me the remaining 26 years. My % is for sale at £90k but no one can buy it because of the lease being for 84 years. The ground rent is 0.01p per year. I have 67 years on my lease on the 2 bed flat,with no ground rent payment.My solicitor have sent letters to the lease holders, with no response. I have a flat (in a converted house) estate agents valued at £450k with a lease I want to extend from 71yrs to 99yrs. The freeholders have asked for £20k. The ground rent is negligible. 1/ Is their offer reasonable? 2/ If I can’t extend the lease in time will it affect remortgaging? My comment after going through the lease extension process, is that leaseholders are easy rip off targets. Lease extension period of 90 years maximum is insufficient…it should be at lease double that. Buy a freehold property if you can as leasehold is a con. I saw a property for £75k I want to buy and rent out. On Zoopla the flat is said to be worth between £90-£100k. The flat has an unexpired lease of 85 years and the freeholder has said he’s happy to extend the lease back to 99years so only adding 14 years. My question is, is if I buy the property for £70-£75k is it worth me extending the lease back to 99years. I plan on selling it in 4 years so there will be a 95 year lease so in theory. I have got 66 years left on my two bedroom flat which is in Friern Barnet. I was wondering how much It would cost? My partner has just purchased a two bed bungalow & garage on retirement complex for £210,000. The lease has 70 years left and the previous owner got a price from the freeholder to extend the lease which my partner is continuing to progress. The freeholder offered a 40 years extension for £10,800 plus costs which with our solicitors costs comes to a fraction below £13,000. Do you think this is a reasonable price? HI there, I was negligent and my lease expires in 64 years, I called the freeholder and they said it can be extended, they will call a surveyor and get a valuation of the property and that they ‘normally grant a new 125 year lease’, if this is too expensive, can I ask for a 90 year lease instead? Do I have that right? Thank You. I have recently extended my lease. The freeholder did not give me any idea of costs (solicitors hourly rate, surveyors costs etc.) these were requested as part of the completed negotiation. The day I had to complete the lease extension or go to tribunal I was given the completion statement. On top of the freeholders valuation fees and solicitors fee’s their was a fee for the freeholders management agents £350 to arrange for the freeholder a solicitor and valuer, explain the process etc. They also gave me an invoice for arrears which I can prove via bank statements had been paid. They did this at the last minute giving me no choice but to pay an extra £1000 approx on top of the valuation fees and solicitors fees of £350 per hour. Or apply to the court which could possibly cost several £1000’s with no guarantee of winning. I paid the invoice and I am now trying to claim under section 60 reasonable costs. My question is are the management fee’s of £350 to act as consultant part of the freeholders reasonable costs. ? Does the managing agent of a block of flats have the legal right to ask for copies of our lease if he currently does not have them? I’m currently looking into extending the lease on my flat. When I bought it it was at 76 years, and I have owned it for 8 years. I have many questions but probably foremost among them is – how do people pay for the lease extension when it is in the tens of thousands? Where do people find the money if it is 10 / 15 / £20,000? 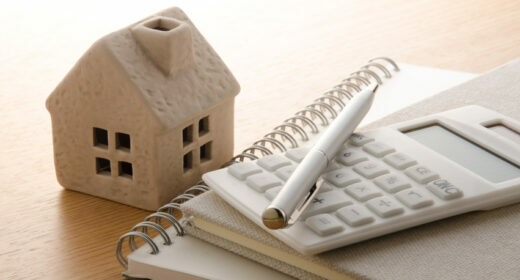 Can the cost be absorbed in your mortgage borrowing or do most people just have to find and save the total sum in cash? I am one of 5 freeholders in a block of flats. We all want to renew the lease which is getting towards 80 years. How much does this cost typically and can you recommend any websites/legal firms able to do this? You won’t be able to start extension negotiations under the formal route until you have owned the property 2 years, unless the seller has already started the process (serving a section 42 notice). You have the option to go down an informal route, but you are not protected and often end up worse off in the long run. I would recommend getting a proper valuation prior to proceeding and asking the seller to serve a section 42 notice, if they haven’t already done so. It could work out well, but needs more research on your part first. You are also unlikely to get a mortgage on this property so assume you are a cash buyer. I am about to buy a flat left with 38 years on the lease. This is from a private seller and has led me to believe it only cost a few hundred pounds. The price is 40000. Is it advisable to proceed. Anne, speak to a solicitor, a good solicitor should be able to negotiate that down on your behalf. I also saw on lease-advice.org on their lease extension page (under terms I think) something about the additional lease term being added to the current unexpired term and no further ground rent payable. I’m not sure the term of the lease just resets to 99 years. Although it may vary between informal negotiation and formal notice. This sort of thing requires experts and I’m afraid I’m not one of them! I have 72 years left on my flat valued £160000. My landlord is asking £20000 to renew it back to 99 years. Your calculators estimate around £10000. I am able to negotiate this price? Why would he be asking so much? My yearly groundrent has recently gone up to £250.